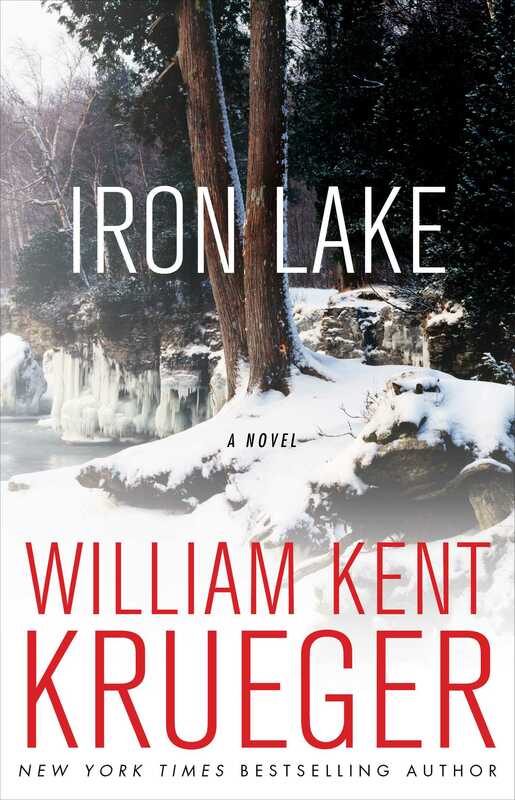 Read the thrilling, universally acclaimed debut that introduced the award-winning Cork O’Connor mystery series to the world by New York Times bestselling author William Kent Krueger. In eighteen novels over twenty years, William Kent Krueger has enthralled readers with the adventures of P.I. 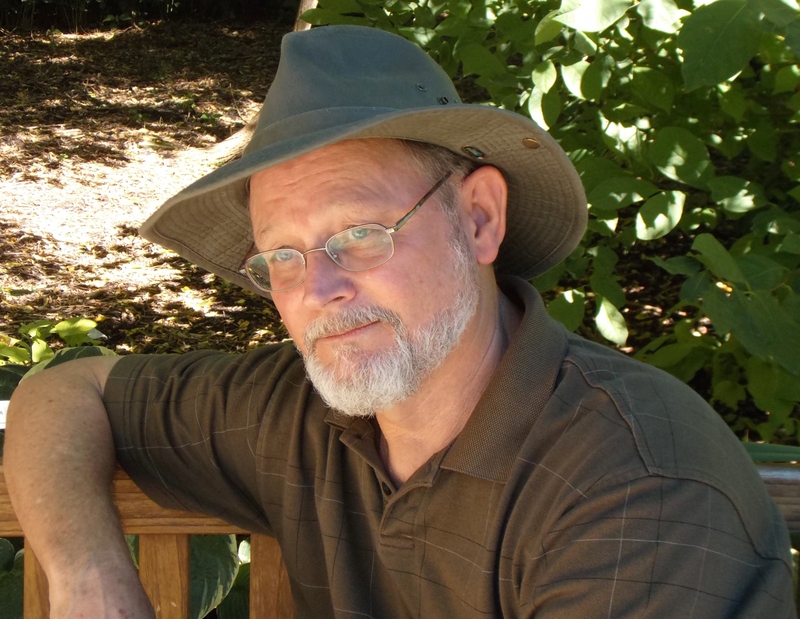 Cork O’Connor, former sheriff of Aurora, Minnesota—selling more than 1.5 million copies of his books and winning the Edgar Award, Minnesota Book Award, Northeastern Minnesota Book Award, Dilys Award, Lovey Award, and Anthony Award along the way. Now, in this special anniversary edition, longtime fans and new readers alike can read the novel that first introduced Corcoran “Cork” O’Connor to the world. Part Irish, part Anishinaabe Indian, Cork is having difficulty dealing with the marital meltdown that has separated him from his children, getting by on heavy doses of caffeine, nicotine, and guilt. Once a cop on Chicago’s South Side, there’s not much that can shock him. But when the town’s judge is brutally murdered, and a young Eagle Scout is reported missing, Cork takes on this complicated and perplexing case of conspiracy, corruption, and a small-town secret that hits painfully close to home. FOR A WEEK THE FEELING had been with him, and all week long young Paul LeBeau had been afraid. Of what exactly, he couldn’t say. Whenever he tried to put the finger of his thinking on it, it slipped away like a drop of mercury. But he knew that whatever was coming would be bad, because the feeling was exactly like the terrible waiting had been before his father disappeared. Each day he reached out into the air with all his senses, trying to touch what was coming. So that finally, on that morning in mid-December when the clouds rolled in thick and gray as smoke and the wind screamed over the pines and tamaracks and the snow began falling hard, Paul LeBeau looked out the window of his algebra class and thought hopefully, Maybe it’s only this. Shortly after lunch, word of the school closing came down. Students quickly put on their coats and shouldered their book bags, and a few minutes later the yellow buses began to pull away, heading onto roads that threatened to disappear before them. Paul left the Aurora Middle School and walked home, pushing into the force of the storm the whole way. He changed his clothes, put on his Sorel boots, took five dollars from the small cashbox on his dresser, and left his mother a note affixed with a butterfly magnet to the refrigerator door. Grabbing his canvas newspaper bag from its hook in the garage, he headed toward his drop box. By two-thirty he was loaded up and ready to go. Paul had two paper routes covering nearly two and a half miles. He began with the small business district of Aurora and ended just at the town limits out on North Point Road. At fourteen, he was larger than most boys his age and very strong. If he hustled, he could finish in just under an hour and a half. But he knew this day would be different. The snow had been accumulating at a rate of more than an inch per hour and the bitter wind that swept down out of Canada drifted it fast and deep. He took the routes in the time when his father was drinking heavily and his mother needed money. Delivering the papers, especially on days like this that seemed impossible, was a responsibility he took seriously. In truth, he loved the storms. The energy in the wind and the ceaseless force of the drifting snow thrilled him. Where another boy might see only the plodding task ahead of him, Paul saw challenge. He took pride in his ability to battle against these elements, trudging through the drifts, leaning hard into the wind in order to complete the job expected of him. He was an Eagle Scout. Order of the Arrow. Member of Troop 135 out of St. Agnes Catholic Church. He had made himself capable in a hundred ways. He could start a fire with flint and steel; hit a bull’s-eye with a target arrow at thirty yards; tie a bowline, a sheepshank, a slipknot; lash together a bridge strong enough to bear the weight of several men. He knew how to treat someone for shock, drowning, cardiac arrest, and sunstroke. He believed seriously in the motto “Be Prepared,” and often as he walked his paper routes, he imagined scenarios of disaster in Aurora that would allow all his secret skills to shine. By the time he neared the end of his deliveries, lights had been turned on in the houses along the way. He was tired. His shoulders ached from the weight of the papers and his legs felt leaden from wading through knee-deep drifts. The last house on his route stood at the very end of North Point Road, a pine-covered finger of land that jutted into Iron Lake and was lined with expensive homes. The last and most isolated of the houses belonged to Judge Robert Parrant. The judge was an old man with a hard white face, bony hands, and sharp, watchful eyes. Out of fear Paul treated him with great deference. The judge’s paper was always placed securely between the storm door and the heavy wooden front door, safe from the elements. Whenever Paul came monthly to collect for his service, the judge rewarded him with a generous tip and more stories about politics than Paul cared to hear. The judge’s house was almost dark, with only the flicker of a fireplace flame illuminating the living room curtains. With the last paper in hand, Paul threaded his way up the long walk between cedars laden with snow. He pulled the storm door open, plowing a little arc in the drift on the porch, and saw that the front door was slightly ajar. Cold air whistled into the house. As he reached out to draw the door closed, he heard the explosion from a heavy firearm discharged inside. He edged the door back open. “Judge Parrant?” he called. “Are you all right?” He hesitated a moment, then stepped in. Paul had been inside many times before at the judge’s request. He always hated it. The house was a vast two-story affair built of Minnesota sandstone. The interior walls were dark oak, the windows leaded glass. A huge stone fireplace dominated the living room, and the walls there were hung with hunting trophies—the heads of deer and antelope and bear whose sightless eyes seemed to follow Paul whenever the judge asked him in. The house smelled of applewood smoke. The sudden pop of sap from a log burning in the fireplace made him jump. “Judge Parrant?” he tried again. He knew he should probably just leave and close the door behind him. But there had been the shot, and now he felt something in the stillness of the house from which he couldn’t turn, a kind of responsibility. As he stood with the door wide open at his back and the wind blowing through, he glanced down and watched tendrils of snow creep across the bare, polished floor and vine around his boots like something alive. He knew that a terrible thing had happened. He knew it absolutely. He might still have turned away and run if he hadn’t seen the blood. It was a dark glistening on the polished hardwood floor at the bottom of the staircase. He walked slowly ahead, knelt, touched the small dark puddle with his fingertips, confirmed the color of it by the firelight. There was a bloody trail leading down the hallway to his left. Pictures from the manual for his First Aid merit badge that showed arterial bleeding and how to apply direct pressure or a tourniquet came to his mind. He’d practiced these procedures a hundred times, but never really believing that he’d ever use them. He found himself hoping desperately the judge wasn’t badly hurt, and he panicked just a little at the thought that he might actually have to save a life. The blood led him to a closed door where a dim light crept underneath. “Judge Parrant?” he said cautiously, leaning close to the door. He was reluctant to barge in, but when he finally turned the knob and stood in the threshold, he found a study lined with shelves of books. Along the far wall was a desk of dark wood with a lamp on it. The lamp was switched on but didn’t give much light and the room was heavy with shadows. On the wall directly back of the desk hung a map of Minnesota. Red lines like red rivers ran down the map from red splashes like red lakes. Behind the desk lay an overturned chair, and near the chair lay the judge. Although fear reached way down inside him and made his legs go weak, he forced himself to move ahead. As he neared the desk and saw the judge more clearly, he forgot all about the procedures for a tourniquet. There was nowhere to put a tourniquet on a man who was missing most of his head. For a moment he couldn’t move. He felt paralyzed, unable to think as he stared down at the raw pieces of the judge’s brain, pink as chunks of fresh watermelon. Paul didn’t even move when he heard the sound at his back, the soft shutting of the door. Finally he managed to turn away from the dead man just in time to see the second thing that night his Scout training could never have prepared him for.